The company of "Freedom’s Song: Abraham Lincoln and the Civil War." Photo by Scott Suchman. This epic musical features the words of Abraham Lincoln and music inspired by the letters of those who lived through the Civil War. 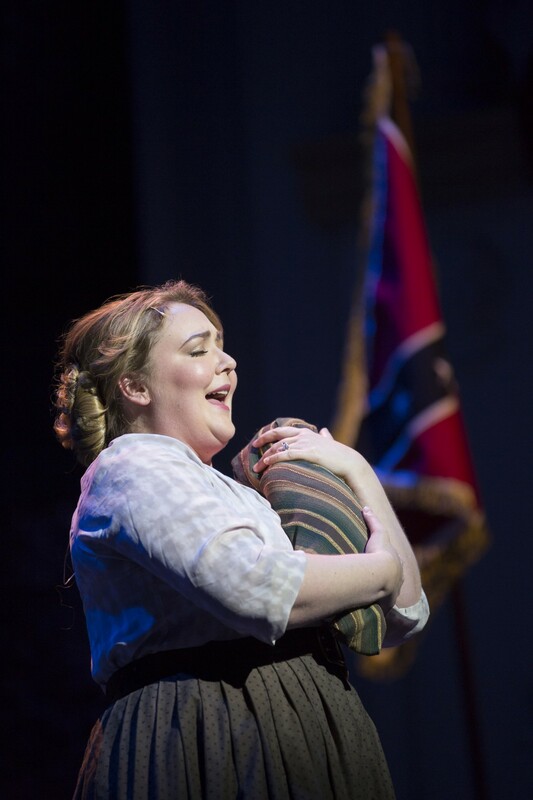 With rousing music, stirring speeches and historic costumes, Freedom’s Song evokes the soaring hopes and tragic losses of the real people of Civil War America. 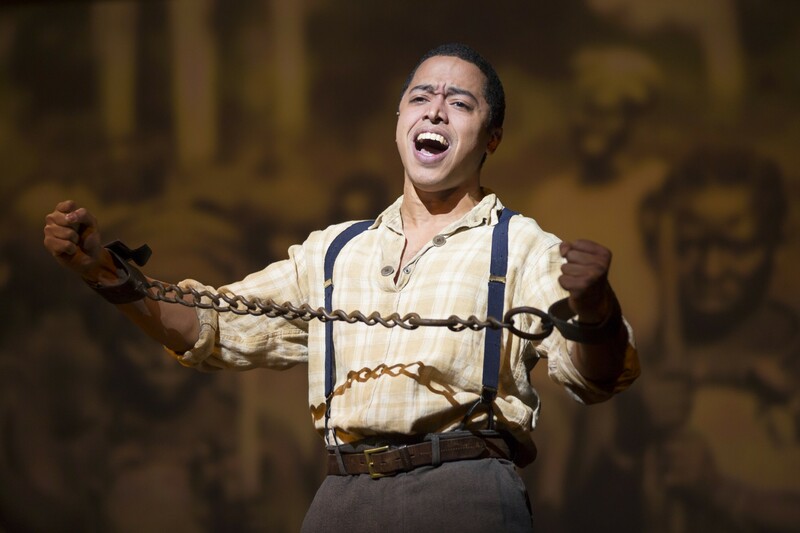 Through a series of highly theatrical vignettes, we see everyday Americans courageously confront the gritty realities of a tattered nation and a war that pitted brother against brother. Lincoln’s inspirational words intermix with these stories, imagining a bloody nation once again unified and the return of a truly United States. Jeff Calhoun (Broadway’s Newsies) returns to direct this lively historical opus. 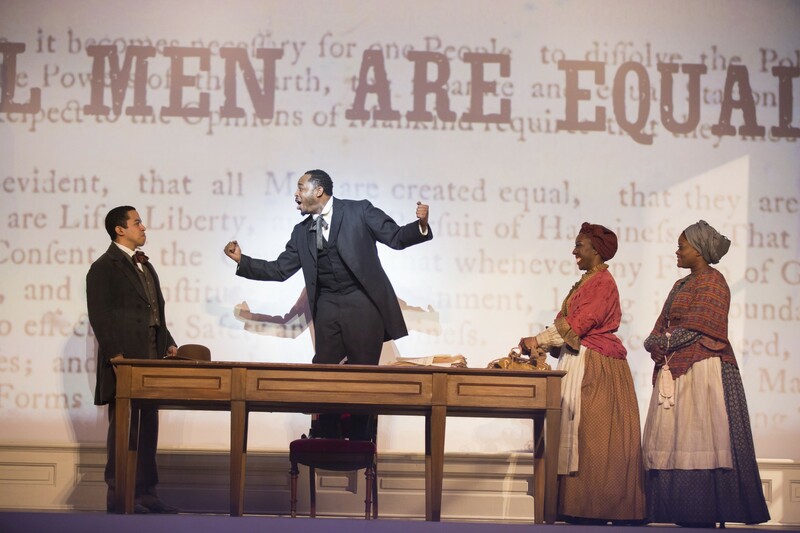 Ford’s Theatre is developing this work as part of Ford’s 150, a series of events commemorating the 150th anniversary of Lincoln’s assassination. 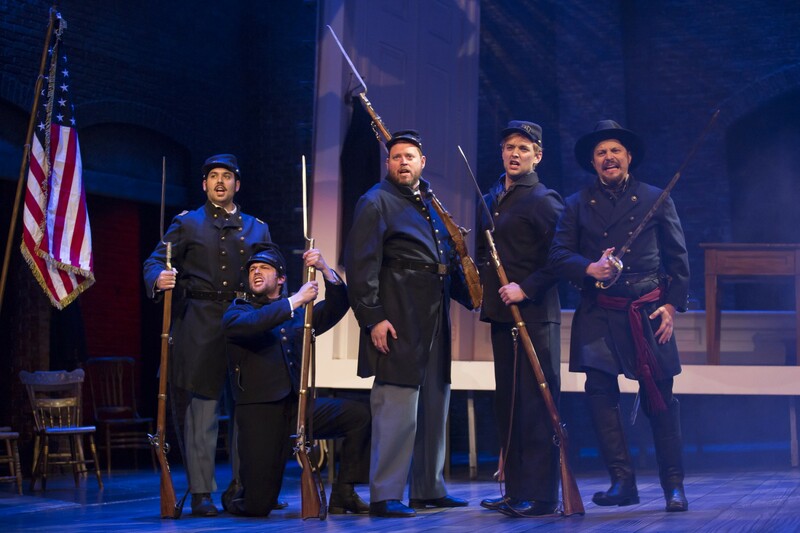 Ryan Burke, Samuel Edgerly, Christopher D. Harris, Gregory Maheu and Jason Wooten in "Freedom’s Song: Abraham Lincoln and the Civil War." Photo by Scott Suchman. Tracy Lynn Olivera as a nurse in t"Freedom’s Song: Abraham Lincoln and the Civil War." Photo by Scott Suchman. Jobari Parker-Namdar, Rayshun LaMarr Purefoy, Ashley D. Buster and Nova Y. Payton in "Freedom’s Song: Abraham Lincoln and the Civil War." Photo by Scott Suchman.